I'm looking for a decent gaming laptop that will run wow and maybe CSS. Any suggestions? $800 max. post links! thanks! Save another $100 and get this. 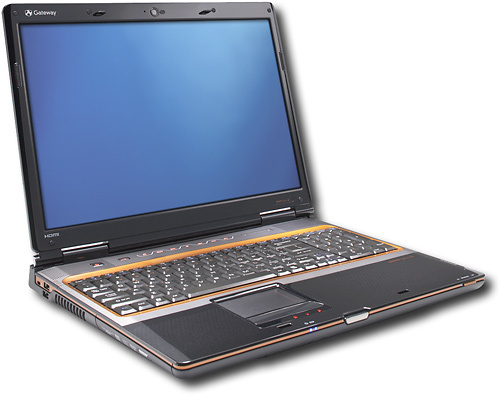 Or look into Lenovos, refurbished dell (personal experience was not bad), and other ASUS laptops. If you're in college a number of distributes offer discounts. I know alienware offers nice ones. hmm, yea ill be going to western Illinois university. Do I just show bestbuy my acceptance and they give me a discount? I couldn't say. You have to probably email, or call, the Co. or the distributer, but its usually worth the work. Its different with every brand. hmm looks like as of now ill stick with the new egg one I chose. Thanks for all of the input! I really jsut want to run wow smoothly, maybe CSS. If you don't mind getting something that's not brand new, Best Buy's private auction page has Gateway P6860-FX, and they are SWEEEET! I just got one less than a month ago. I got it for $525 shipped, and the only thing it didn't come with is a laptop bag, and a battery. I got the battery for about $180 shipped, now all I need is to get a nice laptop bag. Mine was a demo unit at a bestbuy store somewhere, and has some light scratches on the cover, but it is in EXCELLANT condition. Not too shabby considering they went for somewhere between $1200-$1400 brand new. On mine, I can run CS:S at MAX resolutions and all eye candy on at over 100FPS. I can also run Rollercoaster Tycoon 3 really well with above medium settings. Same goes for Oblivion, runs smooth for me (not sure of settings off the top of my head). Inspection notes: Hard drive has been wiped. No OS is installed. Operating System Restore Media <--- only real issue is this, and I can send you a copy of my disc for the same laptop, since you have your own license key. If you aren't a member, I can send you an invite to the auction, just let me know. Im not an amd/ati fan, but this seems sick. 1gb dedicated to the 3650. You've listed some pretty nice laptops, however I'd stick with the intel/nvidia combos you've been posting. Not to say the amd/ati won't fit the bill. Just personal opinion.